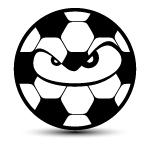 The easiest way to search for everything soccer is finally here, the Search For Soccer Plugin! What’s a plugin you ask? It’s a little piece of software that adds new functionality to your browser. And this particular plugin, from our sister site Search For Soccer, allows you to search their entire website right from your very own browser, without having to visit their site first! Many browsers have search boxes located in the top right corner. They come with pre-installed search engines such as Google, Yahoo, Amazon, Wikipedia, etc. After installing this plugin, you’ll also see Search For Soccer as an option! Get it for free today!